For all the talk of money transfer prices going to zero, the truth is we are nowhere close to that. Moreover, our brand new pricing API (covering 208 currency corridors) shows pricing is still highly variable across the market. And pricing remains the number one lever to drive profit. 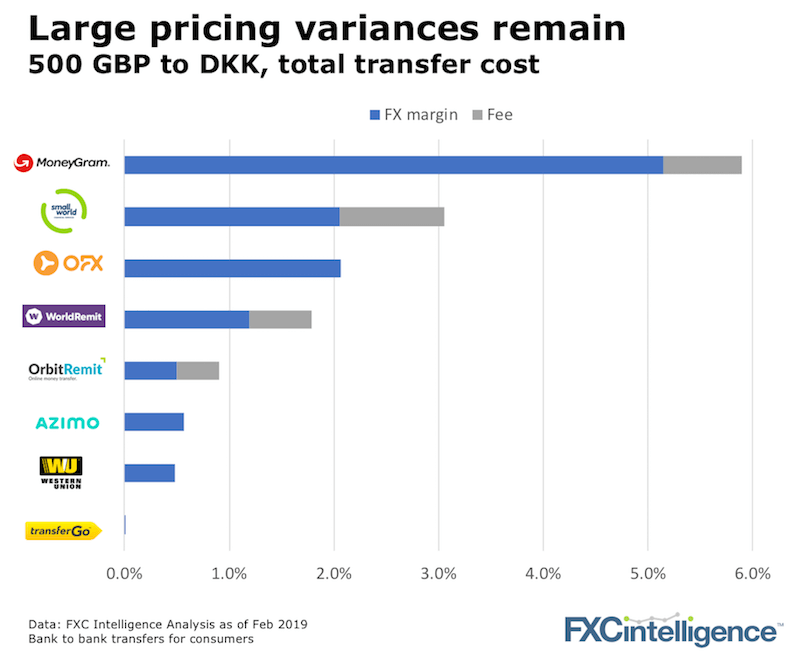 Aside from how out of touch MoneyGram’s pricing is for the corridor (which may help explain some of their declining revenue), the cheapest provider at one value of course doesn’t mean the cheapest at all values. The discrepancies above are only a tiny snapshot of the different customer acquisition and retention strategies being used across the sector. Crunch the data and all types of variations appear that the naked eye and an interbank calculator simply can’t pick up. But are you crunching? And do you have the right data? 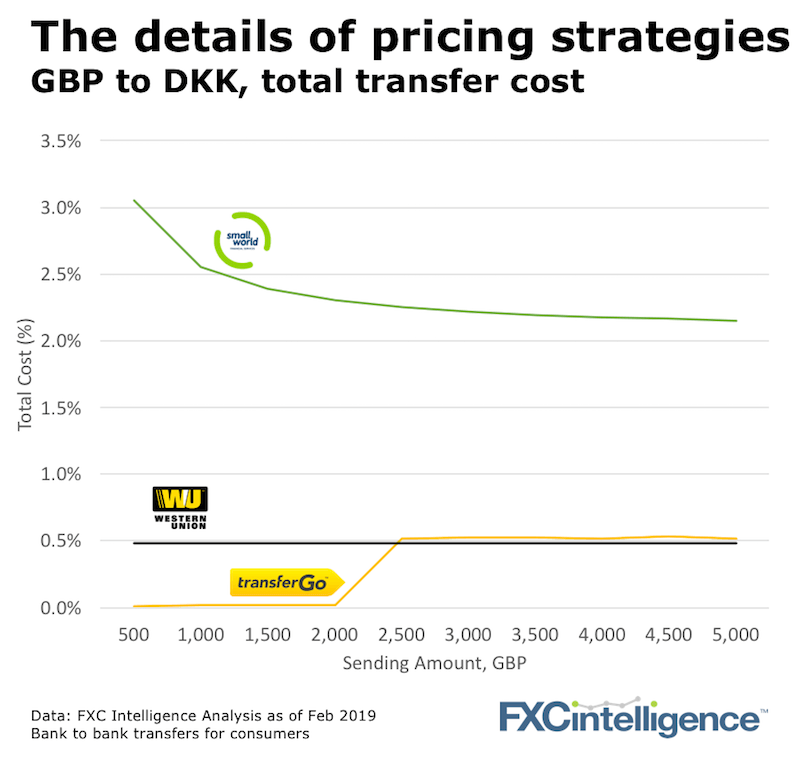 We’ve tracked bank and payment company pricing for years for clients ranging from banks and payment organisations, to regulators and investors.